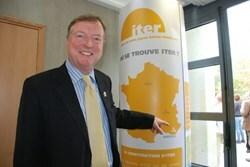 "Engineers can lay a foundation for the future"
Despite the hardship of ten presentations about the quest for harnessing fusion energy, the president of the Institution of Civil Engineering, Richard Coackley, obviously enjoyed his stay at ITER. Last week, an international group of more than 70 members from the Institution of Civil Engineers (ICE) payed a full-day visit to ITER. The ICE was founded in 1818 by a group of young engineers in London's Fleet Street with the goal to ensure and maintain high standards among its members—a role it continues today. 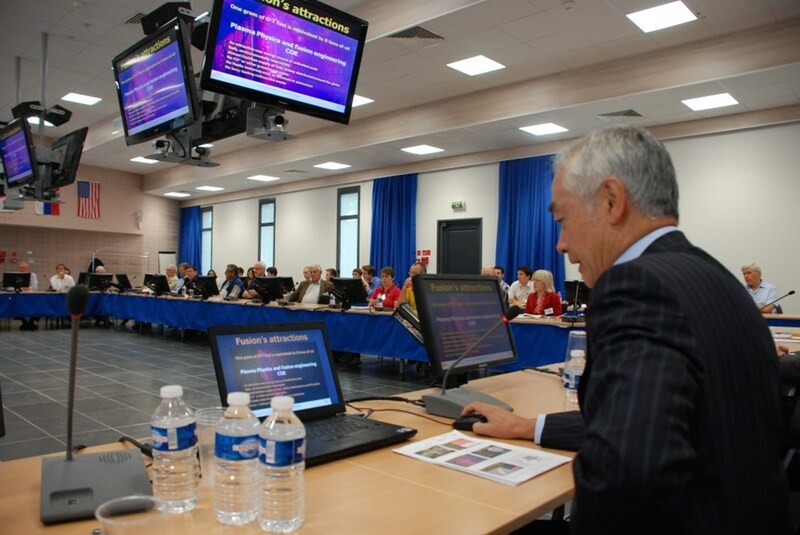 During the one-day event, the engineers were given ten presentations illustrating the many different facettes of the ITER project, from its scientific goals to its safety approach, its assembly strategy, fuel cycling and, of course, its engineering challenges. "This is not only technology advancement but also a global integration project, helping create a new culture and standard for the world. Europe is an open continent. Today it's much easier to cross borders, move around and work in another country. And at ITER we have a global community of engineers, scientists and technologists all at the leading edge developing our future global vision right here. 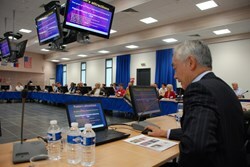 ITER Director-General Osamu Motojima took the lead in introducing the project to the visitors. Engineers can move around as their education and experience is recognized in other member states and countries, thanks to the recognition of professional qualifications. We want to cooperate and share knowledge with similar bodies in all countries on important issues affecting society, the profession, or global and European legislation. We have a great mix of engineers at this conference, from all stages in their professional careers. Our professionalism is what unites us all. We all need to maintain that professionalism. And that means we need to maintain our competence on a regular basis. We need to develop our knowledge all the time, as we are living in a fast-moving world where we need to be reviewing and assessing new views of society and technological inventions and then embedding them in our work. That is why continuous professional development, or CPD, is so important. We can also show that we are always learning and keeping up-to-date. I encourage all of you to complete your CPD as you progress through your careers. A great mix of engineers attended this conference, from all stages in their professional careers. It's important because it's engineers who provide the vision and design for the projects we need—and help the construction industry workforce realize the benefits for society in the most efficient way possible. Some of you will know that the theme of my presidential year is 'harnessing energy'—of the natural world, of our partnerships with industry and governments, and of engineers. By harnessing your energy, we will continue to grow the reputation and value of engineers and scientists to society and to the economies we serve. 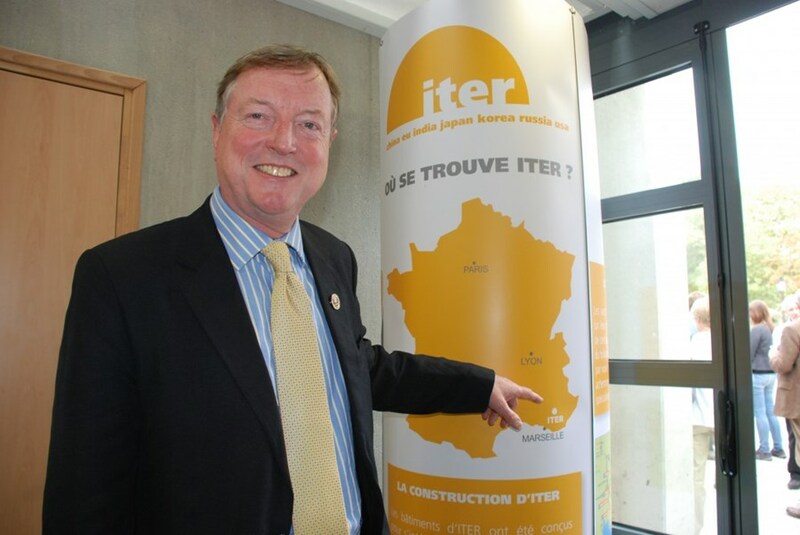 Engineers can lay a foundation for the future so that we as professionals can unleash our energy to secure a better world, and I can't think of a better project than ITER to deliver this."